The use of professional interpreters is essential to allow the effective exchange of information between people who use only spoken words and BSL users. When BSL interpreters are not available it leads to an exclusion of a section of society and can cause serious problems. K International can supply BSL interpreters for meetings, conferences, health visits and even on screen as BSL video. BSL Interpreters can be supplied to locations all over the UK. All of our linguists are CACDP (The Council for the Advancement of Communication with Deaf People) approved and registered. We can also offer CRB and CTC clearance on request. We work on language projects with some of the worlds leading businesses and governments, incorporating a diverse array of subject matter and output requirements, into over 100 different languages. We are fully ISO 9001:2015 certified, meaning our quality control measures are industry recognised. We operate in a secure environment, with all our staff trained to deal with highly sensitive documents and communication appropriately. with all your language projects? To arrange a British Sign Language interpreter call us on 01908 577900, email info@k-international.com or use our contact page and we’ll gladly talk you through the process. The following provide brief examples of our experience of working on British Sign Language projects. Scottish Prison Service. As part of a multilingual DVD project K International provided the Scottish Prison Service with a British Sign Language option on their induction material. This was filmed at K International’s media studio in front of a blue screen and later overlaid on top of the original DVD footage. This is played to all inmates on their first days in a Scottish jail. Transport for London and Greater London Authority. BSL Interpreters are supplied to each of these public bodies to assist them when they hold public events. We also supply speech to text reporting at the same events. This has received very good feedback within the deaf and hard-of-hearing focus groups we have held afterwards. Communities and Local Government. BSL Interpreters are used in a face-to-face situation to help with staff training and development issues. HM Prison Service. We supply Category A prisons with BSL Interpreting to help with prison induction and communication. All of the BSL Interpreters supplied on these assignments are CTC cleared. It is a common misconception that British Sign Language is used all over the world. This is not the case and the language has even developed different regional differences (accents). For example, the days of the week are signed differently in Manchester and London. Scottish Sign Language varies from its counterpart signed south of the border. As well as this, each country has its own version of Sign Language, for instance, American, Australian and New Zealand signers all use different techniques. This holds true for people all over the world. One workaround that is used at international events is the use of International Sign Language. This is a language that does not have the complexities of each language and can be used to convey the basic meaning of most actions. This particular form of sign language is also referred to as International Sign Pidgin or International Gesture. K International can supply Sign Language Interpreters who can sign in different languages however, please let us know at the time of ordering if you require this. If you need any help with your Sign Language Interpreting please give us a call on 01908 577900 or use our contact page. 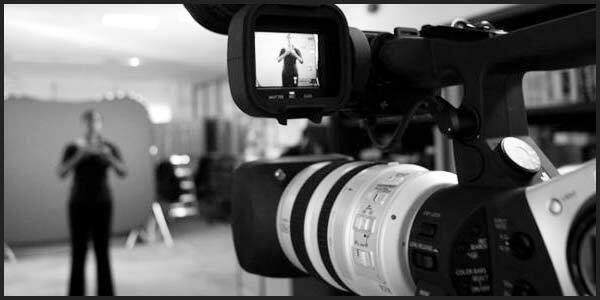 When producing video content it is important to consider the target audience you wish to reach. If you want your material to be accessible to viewers with hearing difficulties, you may wish to consider adding sign language as an option for end users. British Sign Language (BSL) is the first language of around 70,000 people in the UK today, and there are many other sign languages which are used all over the world. Our audiovisual studio is fully equipped to add BSL content to your video material, making it available to a much wider audience. The process we use for recording BSL content for video is very similar to Chroma Key techniques used in television and film production. A qualified sign-language interpreter, chosen according to the project’s requirements, is filmed in front of a blue or green screen. He or she signs at the same rate as the original audio content. Once the interpreter has checked the footage for accuracy and clarity (and any replacement footage is recorded) the screen is edited out leaving only the interpreter. This can then be placed over the original video content, making sure that the interpreter is not blocking any vital visual information on screen. Finally, this is output to the required format we can add this content as an optional language on a DVD, or directly onto footage on a VHS tape. Our studio is also capable of adding signed content to web video in a number of ways if you require more information, don’t hesitate to get in touch. In addition to BSL overlays, we offer a number of ways to improve the accessibility of your video content. Video captioning is another method which is suitable for making your material accessible to viewers with hearing difficulties. We also provide an audio description service, which allows people with visual impairments to make use of your video content. You can find out more information about these services, as well as accessibility services for print and web, on our accessibility page.